Fred Tackett (born August 30, 1945) an American native of Arkansas, is an accomplished songwriter and multi-instrumentalist. Originally a session player on guitar, mandolin, and trumpet, he is best known as a member of the band Little Feat. In addition to his work with the Little Feat, Tackett has played and recorded with many notable artists, Jimmy Webb among them. He has an additional side project with another member of Little Feat; he performs as part of a duo with Paul Barrere, as Paul and Fred. Tackett's association with Little Feat goes back to a friendship with the founder of the band, Lowell George at the time of its inception. Working as a session player for other musicians, he continued his friendship with the bandmates, and contributed a song Fool Yourself to their third album Dixie Chicken as well as acoustic guitar. He also contributed guitar to their sixth album Time Loves a Hero. In 1979 he co-wrote songs with Lowell George for both George's first (and only) solo project Thanks, I'll Eat It Here, and Little Feat's album Down on the Farm. It was during work on the latter that the group's break-up was announced. Lowell George died shortly afterwards. In 1983, he performed on the Antilles Records release Swingrass '83. In 1988 Little Feat reformed despite the absence of their former front man, and prolific singer, songwriter, and slide guitarist, Lowell George. The regrouped Little Feat included former members Paul Barrere, Richie Hayward, Bill Payne, Kenny Gradney, and Sam Clayton, with the addition of Tackett and Craig Fuller. All had been former members of Little Feat, except Fuller and Tackett, who had previously made songwriting contributions and session work for the band. Fuller left in 1993, to be replaced by female vocalist Shaun Murphy who remained with the group, until 2009. Tackett has remained with Little Feat since the day he joined, and has become an integral member of the band. 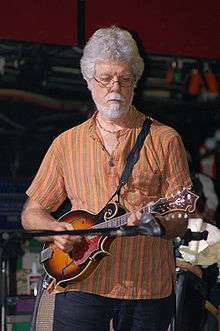 Fred Tackett has played a pivotal role in Little Feat's music. In addition to his guitar work, he plays trumpet and mandolin and has co-written several of their songs, forging an active and regular writing partnership with Paul Barrere which has produced such songs as "Marginal Creatures" and "Night On The Town". The 2003 album Kickin' It at the Barn featured Tackett's debut as a lead vocalist on his own song "In A Town Like This" which was also the title track from his solo debut album released that year. Tackett's writing partnership with Barrere has developed into a separate act where the two perform as a duo. This has produced two live albums and a DVD. A studio album is currently being prepared. They have also spent time between gigs when touring to perform in local radio stations, playing songs that do not require a lot of changing of instruments, to travel as lightly as possible.